Mahindra Holidays has been named on India’s Best Companies to Work List for 2017. The company was one of three Mahindra Group subsidiaries to make the list alongside Mahindra & Mahindra Automotive & Farm Equipment Sectors and Mahindra Finance. The study was conducted by the Great Place to Work Institute, the world’s leading institute for workplace excellence and people management practices, in partnership with the Economic Times. It is the first time Mahindra Holidays has been named on the list, while Mahindra Automotive & Farm Equipment Sectors, is on for the fifth consecutive year and Mahindra Finance marks its second successive year on the list. 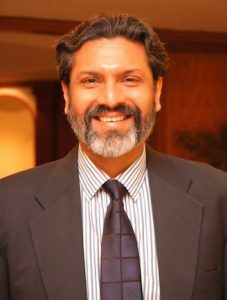 Rajeev Dubey, Group President – HR & Corporate Services, and CEO – After-Market Sector, Mahindra Group, said: “We are delighted that three Mahindra Companies are in India’s ‘Best Companies to Work For’ list. This is a testament to our employee focus and endorses our continuous efforts to create a work environment that engages and enables our people to experience their full potential. The Great Place to Work Institute uses its proprietary assessment tools to evaluate workplace culture. It primarily uses two lenses to evaluate and identify the best cultures – The Trust Index and the Culture Audit. The Institute has recognised the 100 best workplaces as ‘India’s Best Companies To Work For – 2017’ from organisations with more than 500 employees and representing 20 industry sectors.